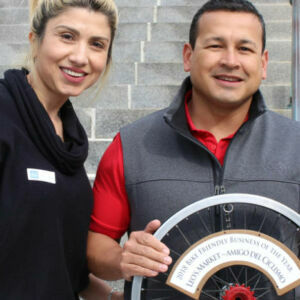 DOWNLOAD the Bike to Work Day PDF HERE. VIEW the 4:00 Community Ride Route HERE. 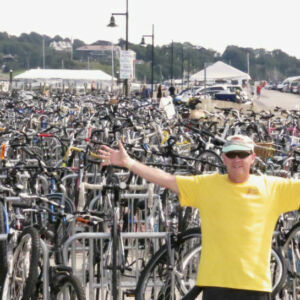 If you live far away, over the bridge, or without access to a safe route into town, then take advantage of our generous and bike-friendly friends at Newport Grand and use the day’s Park n’ Bike lot. Drive to Newport Grand lot, park in the back southwest corner, hop on your bike and onto Halsey Street, and ride the mile into town. You can follow this easy RECOMMENDED ROUTE MAP straight to the Bike Commuter Breakfast. 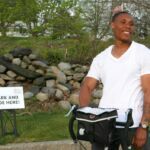 Or use the day to learn how to put your bike on the bus – instructions for RIPTA’s Rack ‘n Ride are HERE. 6:00-9:00 am Bike Commuter Breakfast – Ride in and meet your friends, neighbors and colleagues for your cuppa joe and other tasty treats. Refreshments provided by Jonathan’s Ocean Coffee Roasters, Empire Tea and Coffee, A Market and more. 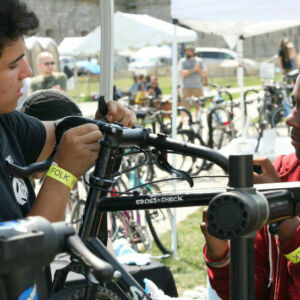 3:30 pm Bike decorating for young and old – Rediscover playing cards and clothespins! 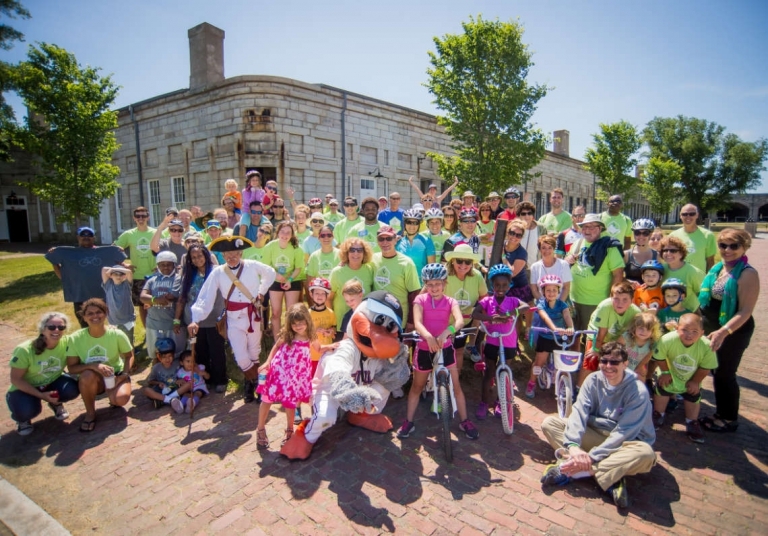 4:00 pm Community Bike Ride around Newport. 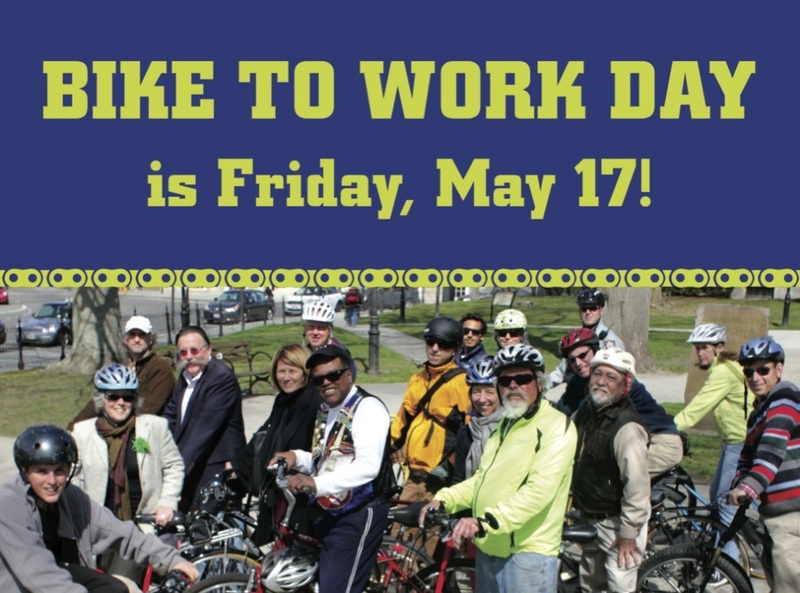 About six miles.The highlight of Bike to Work Day – last year we were 70 – help us to top 100 this year! 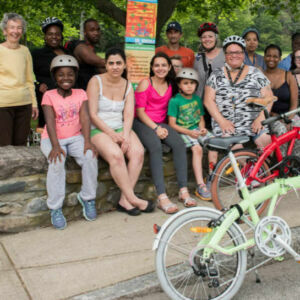 View the Community Ride route map HERE. 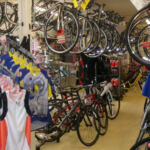 5:00-6:30 pm Bike Fair! Delicious refreshments from Genie’s and Empire, fabulous entertainment by Officer Jimmy Winters and Friends, bike-friendly fare, and the chance to register all those bikes with the City. Plus make-your-own-pedal-powered smoothies!